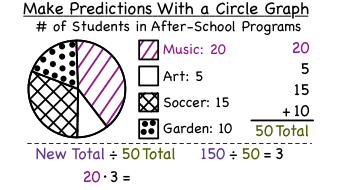 How Do You Use a Circle Graph to Make Predictions? Multiplying integers is just like performing a bunch of additions of the same integer! Check out this tutorial and see how much multiplying and repeated addition have in common. How Do You Use a Line Graph to Make Predictions? How Do You Interpret a Circle Graph?